Committed to the Wellness of Individuals and the Community. Save $5 on a Hot Stone Upgrade! Melt away the chill with this cozy service. Add an extra 15 minutes onto any service for just $20. To read about other discounts which are offered at Centre Ave. Massage, click here. Due to unforeseen circumstances, we have decided to discontinue our Branded App service in the next few weeks. You can still request an appointment online here or with the MindBody App, just search “Centre Ave Massage”. We apologize for any inconvenience in service and appreciate your understanding. At Centre Ave. Massage & Spa, we believe that a significant change toward healing begins with a person's awareness. Massage and other holistic therapies allow the client to experience balance, harmony and relief, giving them perspective and self knowledge to make a proactive change. Our team of professionals is highly trained to address muscular imbalances and postural problems, chronic pain, stress management, inflexibility and the enhancement of athletic performance. Through specialized massage techniques, strengthening and stretching sessions, we help our clients achieve their healthy lifetime goals, all in a relaxing and therapeutic setting. 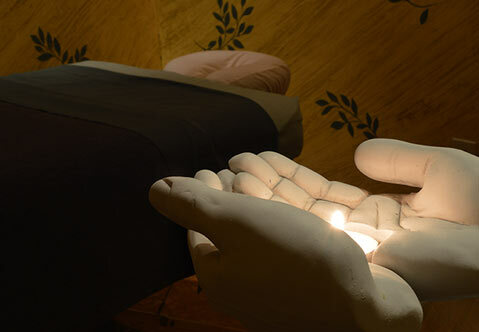 Centre Ave Massage & Spa is located in the Shadyside area of Pittsburgh and is a locally- and woman-owned business. Full scheduled appointment time on the table (assuming reasonable punctuality on your part). No upcharge for hot towels on feet and back. No upcharge for hot pack on upper or lower back. Prossage, Biofreeze or Deep Blue application, no charge. We allow 30 minutes between appointments, so you needn't feel rushed before or after your massage. And your therapist is more refreshed and focused, ready to do some great work. We encourage all of our therapists to participate in continuing education classes. We have taken the massage staff on road trips to learn as a group, and have had in-house study/technique sharing group meetings. Centre Ave. Massage & Spa massage therapist group photo from a road trip to Lewes, Delaware, where we received training in Advanced Myofascial Techniques developed by Til Luchau. Request an Appointment Online or Call (412) 661-7724.